HAHA, the name of the song in french was 'you can't put lipstick on a pig'!! GENIUS! Fake? It'S not fake at all. ''The masked avengers'' are very famous Radio Show animators in Quebec. And trust me, if it passed on nearly 29 channels around north america, it's not fake. "uh emm, take away life that is so fun"
"if one voice can change the world for obama, one viagra can change the world for mccain!" 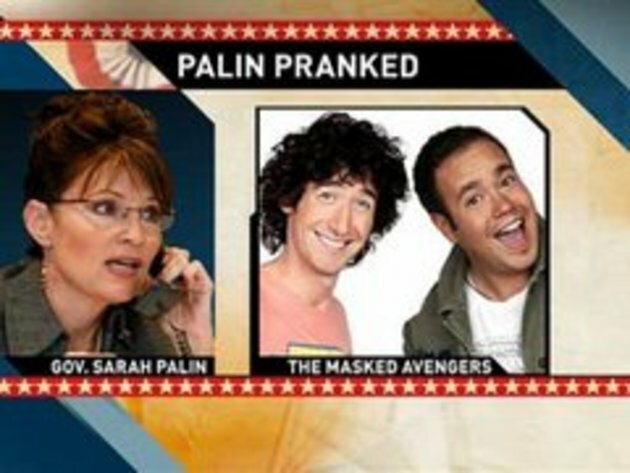 Palin, what were you thinking answering that call....LOL!! !